“The weakness of the US charge against Assange is shocking. The allegation he tried (and failed?) to help crack a password during their (Assange and former US army soldier Manning – TASS) world-famous reporting has been public for nearly a decade: it is the count Obama’s DOJ refused to charge, saying it endangered journalism,” he said. Earlier on Thursday, Snowden described the arrest as “a dark moment for press freedom” on Twitter. 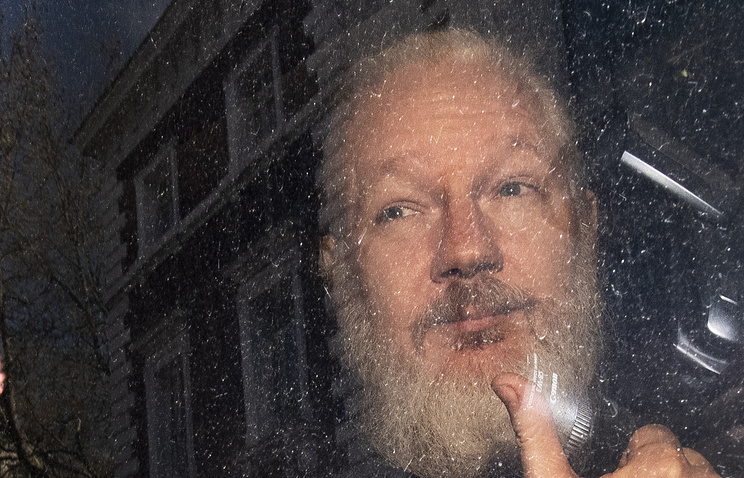 The London Metropolitan Police Service arrested Julian Assange on Thursday morning in the Ecuadoran embassy where he was confined for the past seven years. Following his arrest, the US Department of Justice announced that the American authorities demanded that the UK extradite Assange, who is accused of conspiring to commit hacking offences and faces up to 5 years in prison. The US indicted Assange on conspiring with ex-US Army soldier and American military intelligence analyst Bradley Manning who switched genders and got a name change to Chelsea. In 2013, Snowden published information on surveillance techniques used by US intelligence agencies, including eavesdropping on the conversations of foreign leaders. Fleeing prosecution by the US authorities, Snowden sent asylum requests to more than 20 countries. On August 1, 2014, he received a three-year residence permit in Russia, which was later extended for the same period of time. Partnering with Assange was unpleasant. But work like his is crucial.